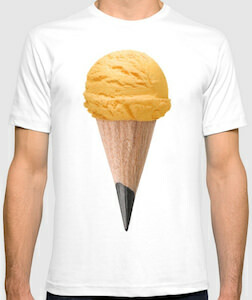 If you need to use a pencil on a hot day then you need this ice cream pencil t-shirt. 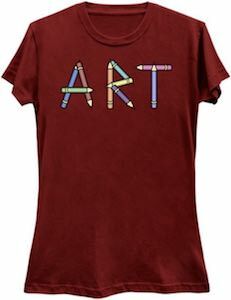 On the t-shirt, you can see an ice cream cone but it is the tip of a pencil and it does have a scoop of yummy ice cream on top. A t-shirt like this is one of a kind so make sure you get one to show the world how amazing wearing ice cream on your shirt is. 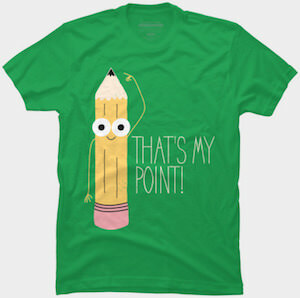 You can get this pencil t-shirt in styles for men and women and it is available in many sizes and colors to make it just the t-shirt you always wanted.